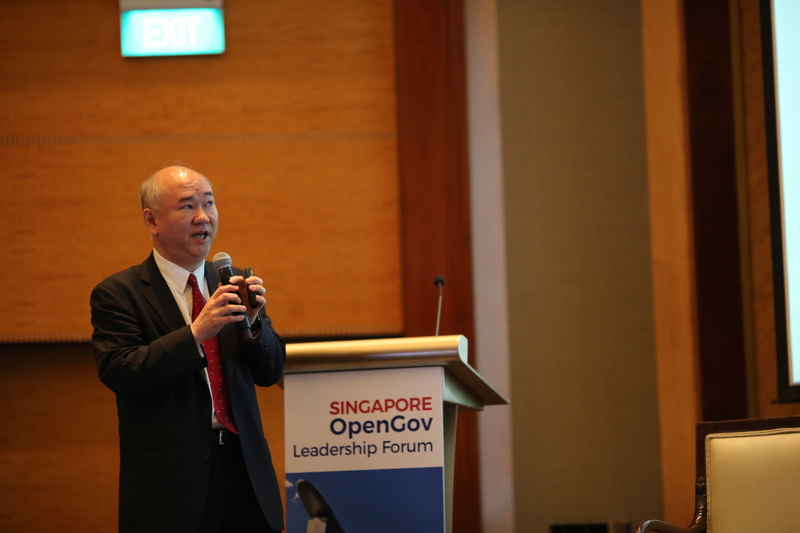 OpenGov interviewed Mr. Makoto Shibata, Principal Analyst & Head of Global Innovation Team – Digital Innovation Division, the Bank of Tokyo-Mitsubishi UFJ (BTMU), Japan. BTMU is Japan&apos;s largest bank and one of the world&apos;s largest, with offices throughout Japan and in 40 other countries. The bank serves as the core retail, corporate, and investment banking arm of the Mitsubishi UFJ Financial Group (MUFG). Mr. Makoto Shibata has been involved in financial technology research and development for almost 20 years, since long before the term FinTech was coined. He and his team work to identify emerging technologies and evaluate how to utilise them for business in different environments and markets. In some cases, the team will develop proofs-of-concept. Once it becomes a full-scale project, it is handed over to people engaged in that project. When it becomes a full service or product, it will be handed over to people on the business side. The innovation team also engages with outside players and considers possible collaborations. The central bank, Bank of Japan, has created the FinTech Center. Regulators have started discussing regulatory reforms. The Ministry of Economy, Trade and Industry has created a study group, recognising that FinTech may become an industry area to boost Japan’s economic growth. Financial institutions are creating dedicated teams. They are organising contests and establishing accelerator programmes. They have also started investing in FinTech startups. The number of startups is increasing and investment activities are expanding. Mr. Shibata listed three technologies which could have a big impact on the financial industry over the next few years. The first is Artificial Intelligence (AI). With the expansion of AI, there would be scope for technology to replace the human decision-making process and improve processing efficiencies. Big data analytics is another important area, where the use of customer data to improve the quality of service offerings would be critical to the next generation of financial services. Third is Blockchain. Mr. Shibata said that it may change the infrastructure of financial services in many ways. Now most financial infrastructure is created on a centralised database type of approach. But that may change with the advent of Distributed Ledger Technology. In 2008, BTMU launched Jibun Bank, a mobile only bank as a joint venture with Japanese telco KDDI. Today it is one of the largest and most profitable mobile banks in Japan. In 2014, MUFG opened its first innovation centre in Silicon Valley in San Francisco. Another office was set up in New York two years later to incubate ideas and leverage on the latest trends. Now MUFG also has an innovation centre in Singapore. Mr. Shibata coordinates the research conducted by these teams. The Group has been organising events aimed at engaging start-ups, such as the FinTech Challenge 2015, a “Bring your own Bank” hackathon in 2016 and the MUFG FinTech Accelerator programme in 2016. In 2015, MUFG introduced robots into the workforce with the pilot of the MUFG NAO robot in branch offices to interact with customers. Smartphone applications were rolled out, including one that answered basic service questions (“MAI – Virtual Assistant”). If the customers cannot get satisfactory answers within a couple of interactions, then they are transferred to a call centre so they can get human assistance. Similar Q&A service was offered on popular messenger app LINE. They also created an app which allows for the opening of customer accounts without stepping into a branch (MUFG Smart Account Opening App). MUFG expects to expand the use of robotic process automation (RPA) to drive efficiency gains in operations, automating previously time-consuming manual processes. MUFG has also been actively exploring the applications of Blockchain. In Singapore, BTMU initiated a proof-of-concept for digitalisation of cheques using blockchain technology. In Tokyo, MUFG has been working on blockchain with the Japan Exchange Group (JPX operates multiple securities exchanges including Tokyo Stock Exchange and Osaka Securities Exchange) to test the security transactions. MUFG conducted the proofs-of-concept with other large banks on fund transfer. MUFG has also been working on its own virtual currency called MUFG COIN for internal usage, hoping to expand it to an actual product in the future. In the US, MUFG has invested in Coinbase, a virtual currency exchange operator in order to learn from their expertise in trading virtual currency. MUFG is also working with blockchain startup Chain on a Proof-Of-Concept (POC) around the exchange of promissory notes. Responding to our question on how long it might take for these blockchain initiatives to translate into products and services, Mr. Shibata outlined certain challenges in current blockchain technology. For example, bitcoin has limitations in terms of processing speed and transaction volume. There are also issues on the legal treatment of bitcoin in different legal jurisdiction and its standardisation. “We still need to work out some of the technical, legal and practical business issues. Financial institutions are working on it. With the rapid pace of technological changes the issues may be sorted. We may see new areas of applications on a limited basis here and there from now on. But in order to see major transitions from existing financial infrastructure to blockchain may have to wait a couple of years to happen,” Mr. Shibata explained. We asked Mr. Shibata about security and privacy concerns in managing data. He said that security is a major challenge while creating any service. Being the largest commercial bank in Japan, MUFG is often targeted by criminals and cyber attackers. Cyber security protection has to be integrated into new products and services. There could be concerns that the private data is used for purposes different from what it was given for. The bank has to make sure that it explains clearly to customers how and for what is the data being used. Transparency is critical. With the expansion of the Internet, people have access to information throughout the world. But there are differences in the way regulatory schemes are created in different countries. A type of product or service which operates in one jurisdiction may not be applicable in another geographical location. Mr. Shibata said that speed is one big challenge that large financial institutions are facing. Large banks, financial institutions feel that they may not be fast enough to catch up with new players like startups or technology companies. Being a large organisation, the decision-making process may not be fast enough to match up with the startups. On top of that, they have the burden of legacy infrastructure. Banks are also subject to regulation on every aspect of products and services. Startups might not have to bear similar regulatory burdens. So, we asked Mr. Shibata about the role of large, established global financial institutions like MUFG and the role of startups in the development of FinTech. He replied that large financial institutions have earned the trust of customers through their long experiences in providing financial services. So, the best possible way might be for these institutions to collaborate with the startups with creative, innovative ideas. Mr. Shibata said that of course, the new players may be able to offer services by themselves. But they can leverage off the existing huge customer base and trust that large banks enjoy. And the large banks can offer better services to their customers. Finally, we circled back to the automation Mr. Shibata had mentioned earlier in the interview. There are concerns over the loss of jobs. We asked for his views on the subject. He replied that some job loss would occur in the long run in operations and branch work. But employees would be able to dedicate their time for higher value addition activities, for example, talking to clients, consulting and giving advice, not just answering very simple questions or doing paperwork.